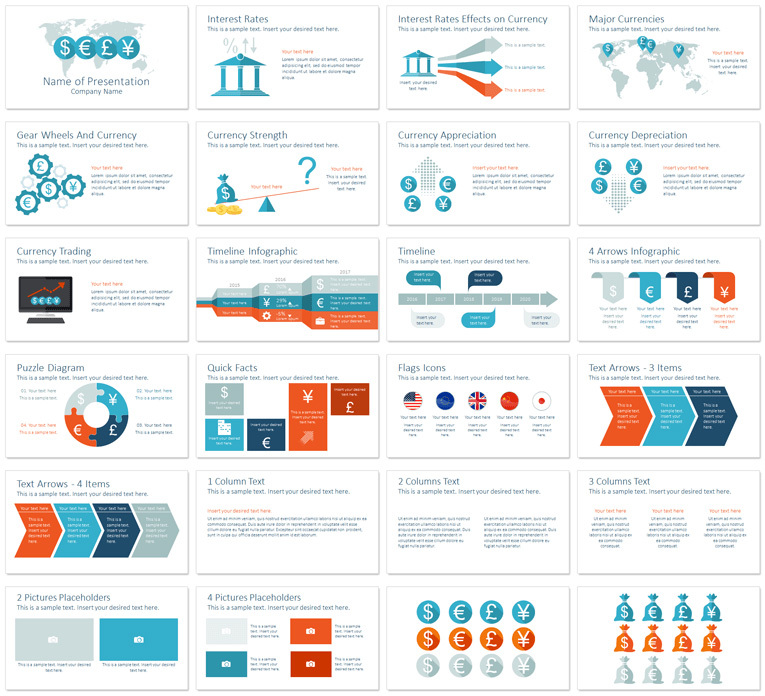 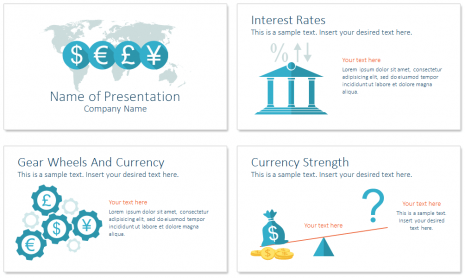 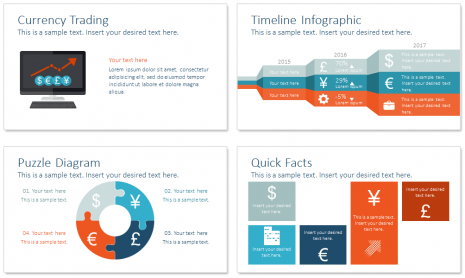 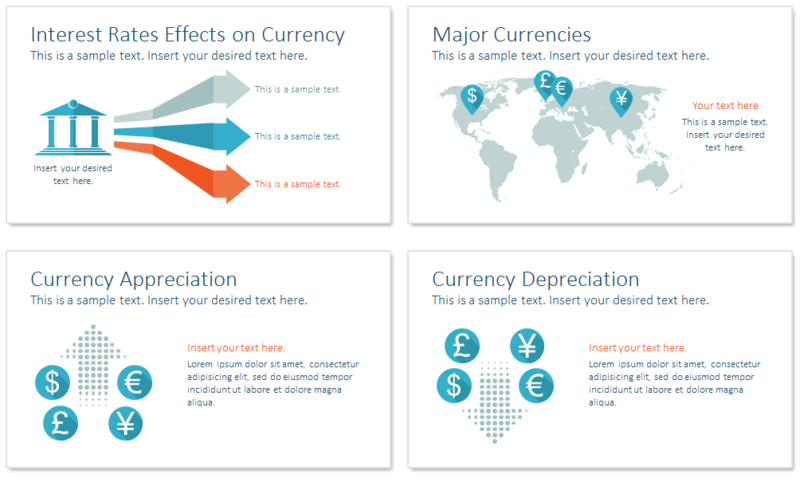 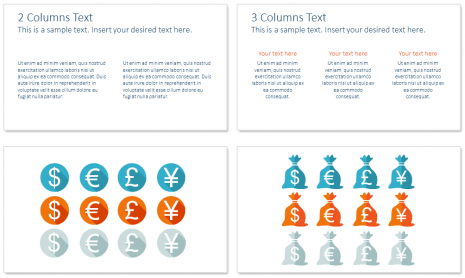 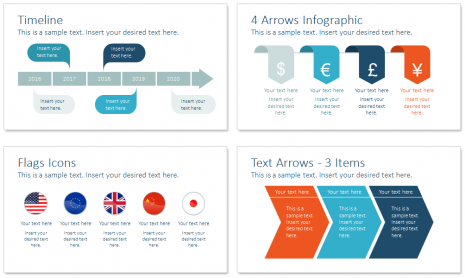 Currency PowerPoint template in flat design style with 22 pre-designed slides including the following topics; major currencies, interest rates and their effects on currency, gear wheels with currency symbols, timeline infographic, quick facts, puzzle diagram with symbols, and more handy slides. 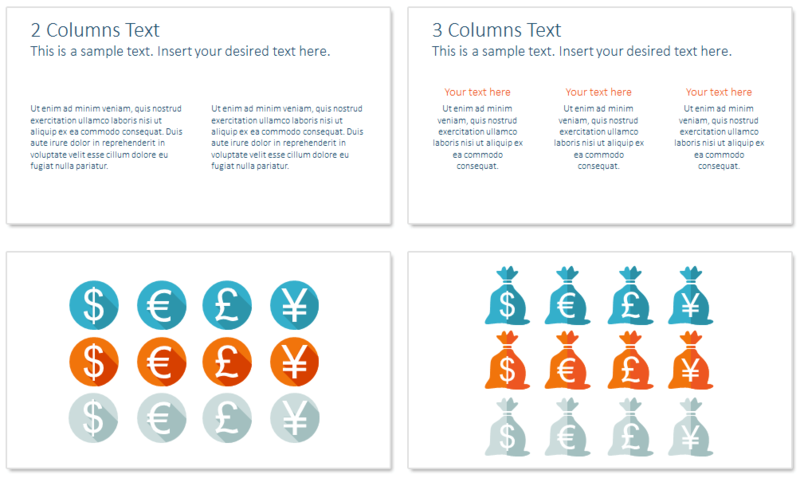 This template comes also with flat design money bags icons set. 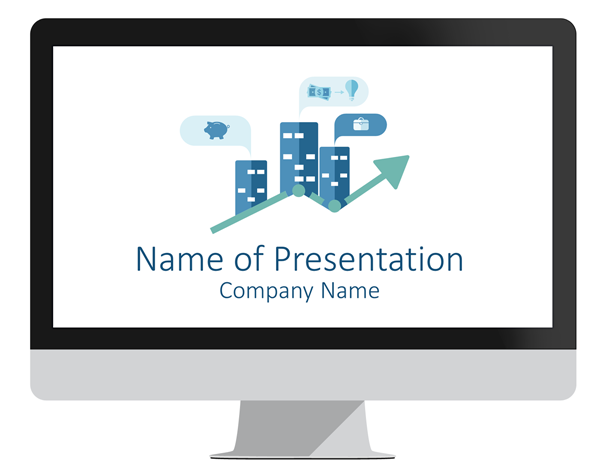 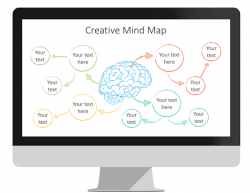 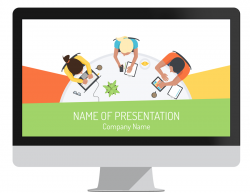 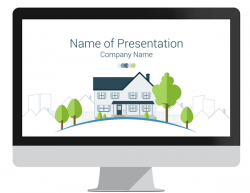 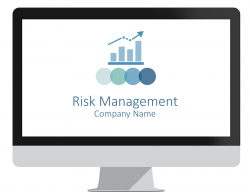 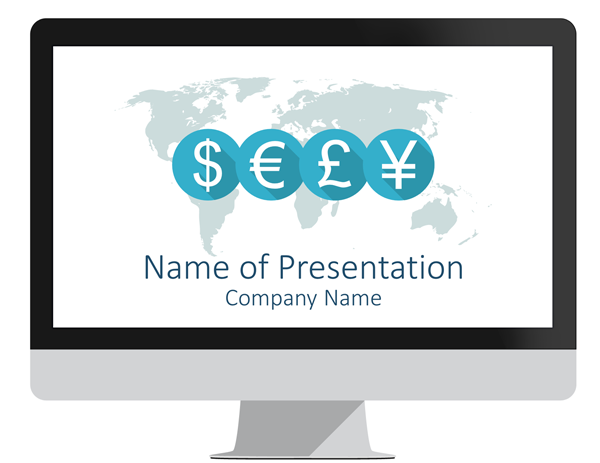 The title slide is editable and feature world map and circle dollars icons. 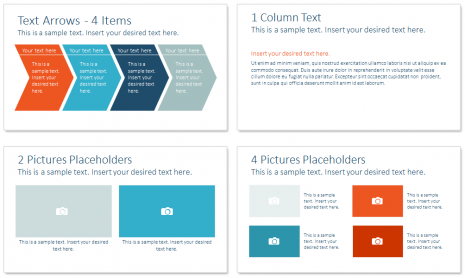 All design elements are editable and you can resize, change colors of everything in the Slide Master View in PowerPoint.